China's FAST radio telescope has discovered three new pulsars, the National Astronomical Observatories of China (NAOC) announced this week, bringing its discovery total to nine. FAST is made up of 4,600 panels giving it a collecting area of 196,000 square meters, dwarfing the next largest single dish radio telescope, the Arecibo Observatory in Puerto Rico, which at 305 meters across has a 73,000 square meter collecting area. As well as seeking to confirm the existence of gravitational radiation and black holes, FAST will be used to detect molecules such as long-chain carbon molecules in the interstellar medium – the space between stars – and survey hydrogen levels in the Milky Way and other galaxies. FAST will also contribute to the international search for intelligent extraterrestrial life (SETI) by listening for signals from exoplanets and could also be used to track spacecraft involved in China's space program, such as the 2020 mission to Mars. FAST made its first confirmed finds earlier this year. The pulsars PSR J1859-01 and PSR J1931-02 were detected on August 22 and 25, confirmed by the Parkes telescope in Australia on September 10, and announced in October. The giant facility has since been discovering pulsars 'almost every night', with six being internationally certified before this week. 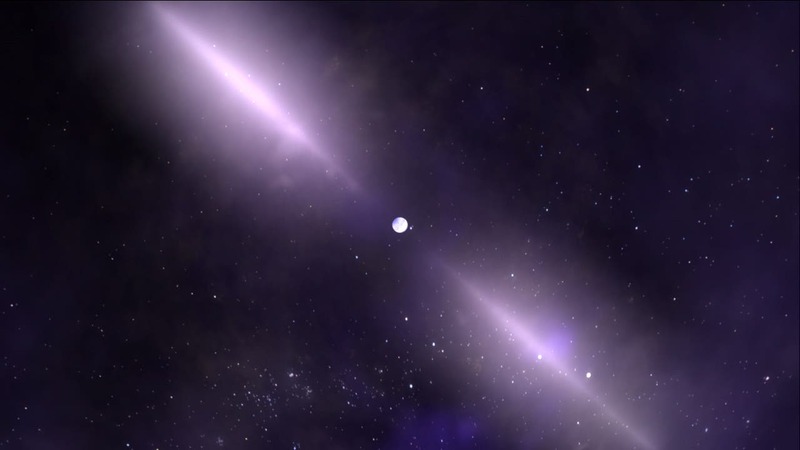 Speaking after the formal announcement of FAST's first pulsar discoveries, director of NAOC Yan Jun said, "The two new discovered pulsars symbolize the dawn of a new era of systematic discoveries by Chinese radio telescopes". Pulsars, discovered 50 years ago by Jocelyn Bell (see video above) was a mystery space signal. They are rapidly rotating remnants of formerly massive stars and are sometimes referred to as 'lighthouses' of the universe due to their regular rotational periods and focused electromagnetic radiation emissions. FAST is still going through trial operations, but when it comes fully online in 2019, it is expected to discover around 100 pulsars each year.